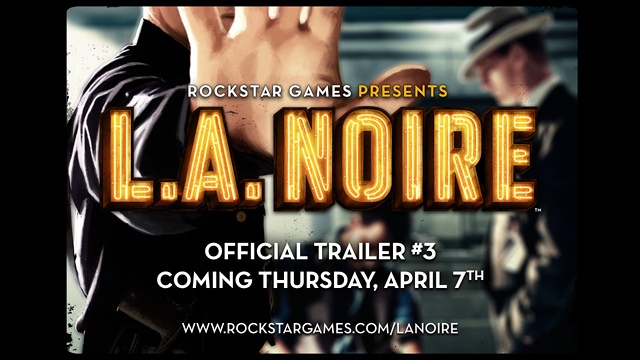 Rockstar’s confirmed that another new L.A Noire trailer will be released tomorrow. Like the previous announcement, they revealed this message via an image, which clearly mentions that this trailer will be made public tomorrow. L.A Noire’s looking good so far and is ready to release this May for PS3 and Xbox 360.